*Note: This recipe is best with almonds, but works well with any type of nut. And if using table salt, reduce salt amounts by half. Adjust oven rack to lower-middle position and heat oven to 350 degrees. Set wire rack in rimmed baking sheet. Pat chicken dry with paper towels. Using fork, poke thickest half of breasts 5 or 6 times and sprinkle with 1/2 teaspoon salt. 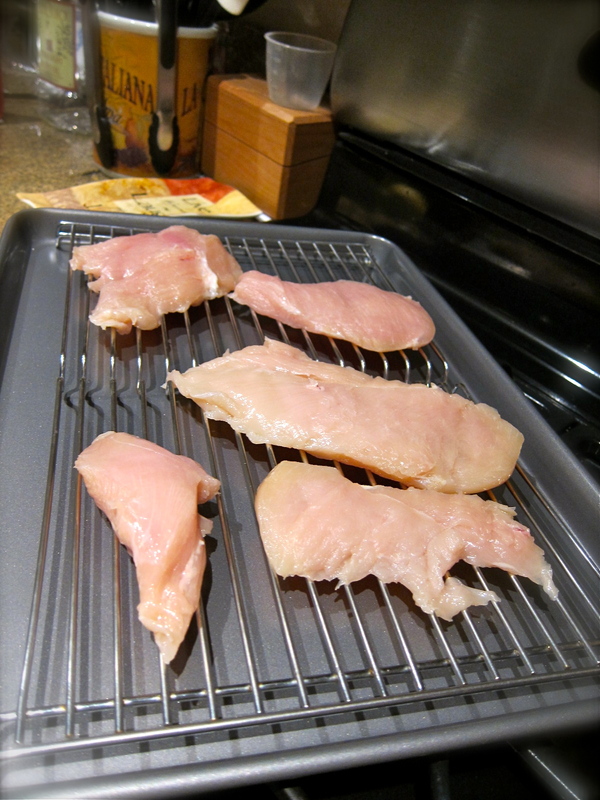 Transfer breasts to prepared wire rack and refrigerate, uncovered, while preparing coating. Pulse almonds in food processor until they resemble coarse meal, about 20 pulses. Melt butter in 12-inch skillet over medium heat, swirling occasionally, until butter is browned and releases nutty aroma, 4 to 5 minutes. Add shallot and 1/2 teaspoon salt and cook, stirring constantly, until just beginning to brown, about 3 minutes. Reduce heat to medium-low, add bread crumbs and ground almonds and cook, stirring often, until golden brown, 10 to 12 minutes. Transfer panko mixture to shallow dish and stir in lemon zest, thyme, and cayenne. Place flour in second dish. Lightly beat eggs, mustard, and pepper together in third dish. Working with 1 breast at a time, dredge in flour, shaking off excess, then coat with egg mixture, allowing excess to drip off. 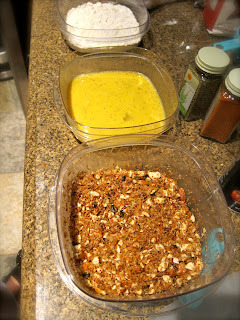 Coat all sides of breast with panko mixture, pressing gently so that crumbs adhere. Return breaded breasts to wire rack. Bake until chicken registers 160 degrees, 20 to 25 minutes. Let chicken rest for 5 minutes before serving with lemon wedges. Make sure you don't forget to juice that lemon over top of your chicken...it's divine. I served this with a green salad, fruit, and garlic bread.